There are 30 pools on the six mile beat and the services of a ghillie are shared between the three rods on the beat. There are classic fly-fishing pools and due to the fast flowing nature of the River Dee, and the variety of pools, the beat can be fished at all water heights. The fishing experience is enhanced by the breathtaking scenery. More information. Self-catering cottages are often available under separate arrangements through the Balmoral Estates Office. This is an ideal fishing destination for non fishing partners and wives. 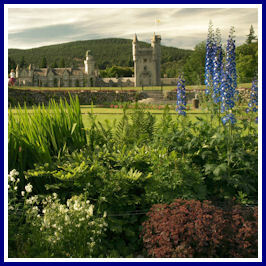 Non fishing guests can visit Balmoral Castle ,enjoying the grounds, gardens and exhibitions (open on a daily basis from Friday 1st April until Sunday 31st July during 2011). Or take a 2 days pony trek and wildlife safari.